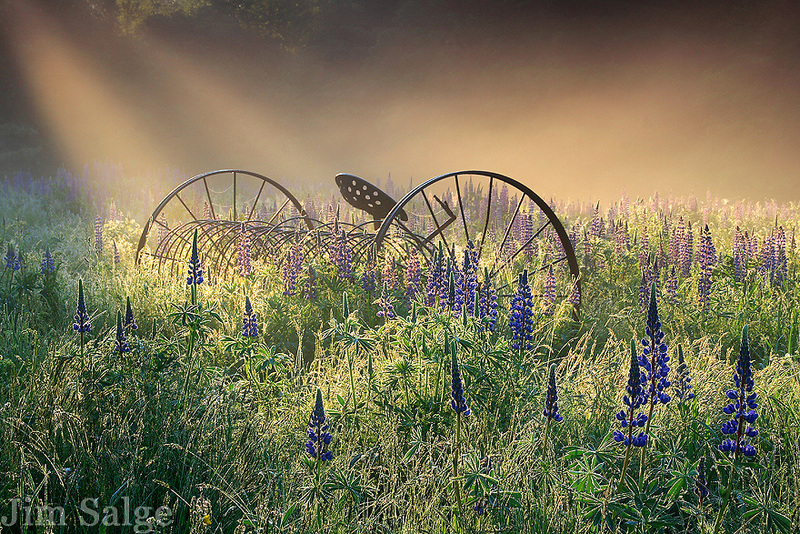 The town of Sugar Hill, NH is famed for its lupine festival during the month of June. I usually spend a few mornings each year seeking the perfect combination of light and flowers. On this fine June morning, a cool mist was burning off in the warm spring sunlight, creating dramatic rays over a field at the height of bloom. The hayrake anchors the pastoral scene.